The #Heineken100 influencer program indentifies and celebrates tastemakers that represent the beer-makers "Man of the World" moniker. 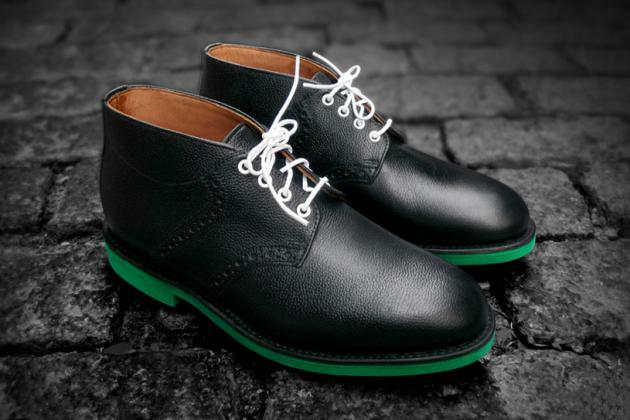 Having released a pair of Saddle Shoes last year, they are now enlisting Mark McNairy to produce two collaborative pairs of Saddle Boots for 2013. 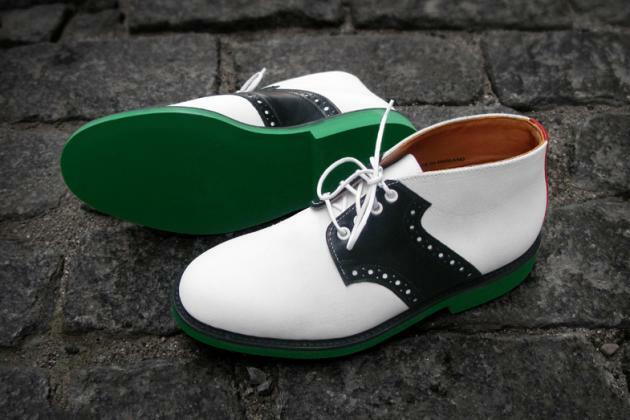 Each of the Saddle Boots will feature Heineken's green EVA sole, white laces, black welt and white eyelets. The first pair sports a white suede upper with a red rear stripe. The second sports a black pebbled leather with a black rear stripe. You can't buy these though. They are only exclusively available to the 100 individuals on the #Heineken100 list.